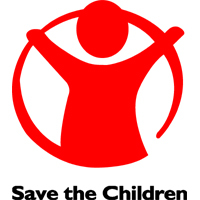 Save the Children is seeking a Field Operations Manager for the USAID-funded Improved Nutrition for Better Life Program in Tanzania. This four-year program will intensify and integrate nutritional support to targeted regions to improve the nutritional status for women of reproductive age. This target group includes pregnant and lactating women, adolescents and children under five years of age in Tanzania. This position is responsible for the overall operational management of the project and will coordinate and ensure strong alignment with the Deputy COP on all operational issues relevant for the project. S/he is responsible for ensuring that USAID requirements for budget planning, monitoring, and reporting are fully met in a timely manner, and the establishment and management of operational and administrative systems are utilized. This requires close liaison with the finance and technical planning departments of all partners and program staff, Save the Children, and USAID.